A portrait of Victoria Murdoch-Hightower who was born in 1888. She married Rufus Hightower, a police officer, in the 1920s. He died in the line of duty, and after his death, Victoria found work as a probation officer. 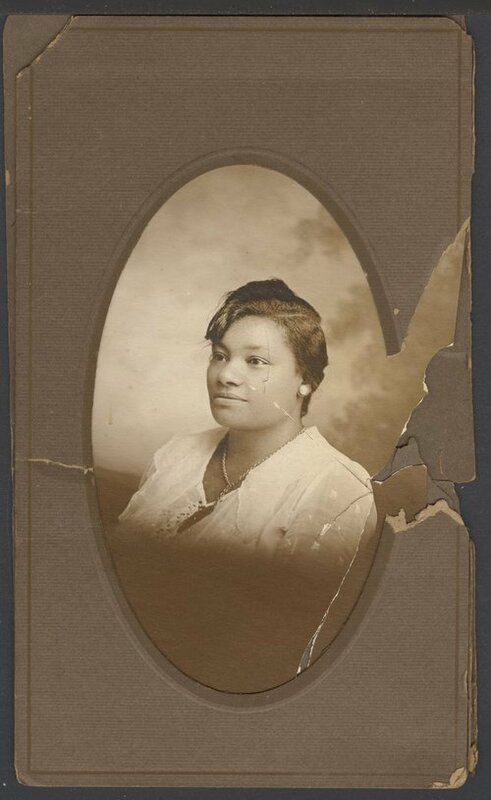 Later she went to Madam C. J. Walker's School of Cosmetology in Kansas City, Kansas and after graduation, she worked at Newt Bower's funeral home in Coffeyville, Kansas. When he decided to sell the business, she purchased it and changed the name to the Hightower Funeral Home. She became the first female African-American funeral director in Kansas. Victoria expanded her business when she purchased the Citizens Funeral Home in Wichita, Kansas. She later sold the funeral home in Coffeyville. Victoria died in 1942, and her daughter Xavia Earline Hightower obtained her funeral director's and embalmer's licenses and began operating the funeral home. Xavia sold the business in 1998.